All the Malayala naatu sthalams explains about the Aathma Paramathma relationships with the perumal and bhaktaas, the relation with Mahabharat and Ramayan and the perumal who are found in this Malayala Nadu are said to be the Avathaars of Sri Rama, Sri Krishna and Sri Parasurama. There are 13 divyadesams found in Malayala Nadu. 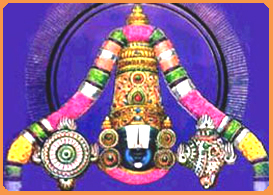 Among which, the Emperumaan is found in Nindra thirukkolam in 10 divyadesams, in Kidantha kolam in 2 divyadesams and in Irundha kolam in one divya desam. The perumal is facing his thirumugham along East direction in 8 divyadesam along west direction is 3 divyadesams and in 2 divyadesams, he is facing his thirumugham towards south direction. In two divyadesams, (Thiruvananthapuram and Thiruvaattaaru), where the perumal is giving his seva in 3 different vaasals (entrance) explains about the birth, the leading of life and the final state, the death of human. The Panja Pandavas, Dharmar (Thirucchenkundroor), Arjunar (Thiruvaaran Vilai), Nakulan (Thiruvanvandoor), Bhiman (Thirupuliyoor) and Sahadevan (Thirukkadithaanam) have worked for these 5 divyadesams and done lots of help in making these divyadesams to grow. In Thiruvanparisaaram, the thaayar is named as "Kamalavalli Naachiyaar", in Thirucchenkundroor, the thaayar is Sengalamala valli Naachiyaar, in Thiruvithuvakodu, the thaayar is Padmapani Naachiyaar in Thiruvaaranvilai she is named as Padmasani Naachiyaar, in Thirupuliyoor, the thaayar is porkodi Naachiyaar and in Thirunaavay the thaayar is Malar Mangai Naachiyaar and in all these 6 divyadesam, the thaayar has the name of flower as her name.